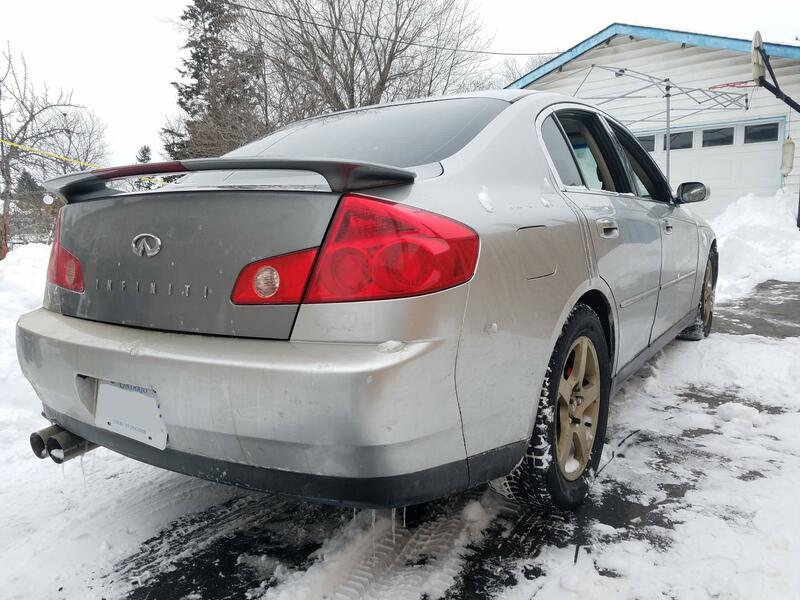 I'm undertaking a project with my "new" G35. I'm always curious to learn about automotive technology and devices and wanted to take a car apart to see how each and every bit works. It'll be a fun project that I intend to make some videos on to share with the community. I've done this back in 2017 to a Toyota Corolla and chose the G35 because it is mechanically different. 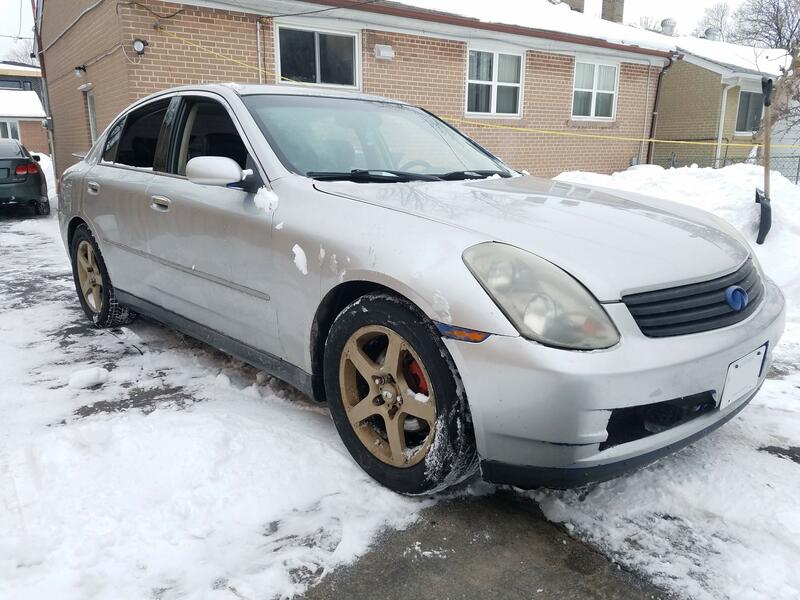 I picked up this 2004 G35 RWD for not much. Its in rough shape and needs full suspension, tires, brakes, exhaust and a front end to ever become drive-able again. My plans are to slowly take things apart piece by piece and detail what's inside and how it works. I'd focus on the major subsystems such as the engine, transmission, suspension, exhaust, steering, as well as smaller things like wipers, windows and electronics. Upgrade all of the bushings and ball joints to polyurethane... still need to do the rest of em... mils garage and motordyne g35 have a bunch of stuff btw. But its always good to have more perspectives! Last edited by G35ATL; 02-14-2019 at 12:00 AM. Some of us here have already taken the whole car apart over the course of their ownership! Not me though so I look forward to your content. Yeah, I think this forum over the years has already collected all of this info. I'm guessing the OP is looking for subscribers. Thanks for the welcome. Haha the toothbrush is just an ongoing joke in some of my videos. Oh, I don't mean taking the car apart the way you'd normally service a vehicle! I take things apart differently...sometimes with an angle grinder . It satisfies the curious mind of me to see how gizmos and mechanisms work or ponder on how they were designed and manufactured in such a way to all work together and become the car we drive. If you look back at my past videos I've taken one car apart already and really enjoyed that...I learned so much without the worry of destroying my daily car. I think it would be interesting if you looked up all the common failure points of the vehicle and tackled them with a video specifically aimed at HOW and WHY they fail due to design. While you're tearing the car apart if you would please take good photo's of EXACTLY where the sunroof drains are routed THROUGH THE CHASSIS to under the vehicle that would be helpful since it seems to be one of life's great mysteries. I for one want to see a video comparison of worn subframe and differential bushings versus 90a DIY polyurethane castings... Esp the subframe ones. Poured in preferably BEFORE the subframe comes out. You have some pretty cool videos, keep it up! Someone poured the diff bushings here if I remember correctly. Yeah, we were both involved in that thread. It was oneVQ35DE I believe, he has an FX35 (AWD) so that bushing doesn't get stressed nearly as much as the one on a RWD car. Plus, he didn't make a business out of taking video footage and instructional videos and posting them to YouTube! But I know that can be done, it's the subframe bushings I'm really interested in, mostly because I already have Whiteline diff bushings lol. Thanks, that's a good idea. I got some neat footage of the suspension compression arm ball joint which typically goes bad on these. I also plan on gutting the interior and investigating the workings of the sunroof. Everything in the front end typically goes bad on these.